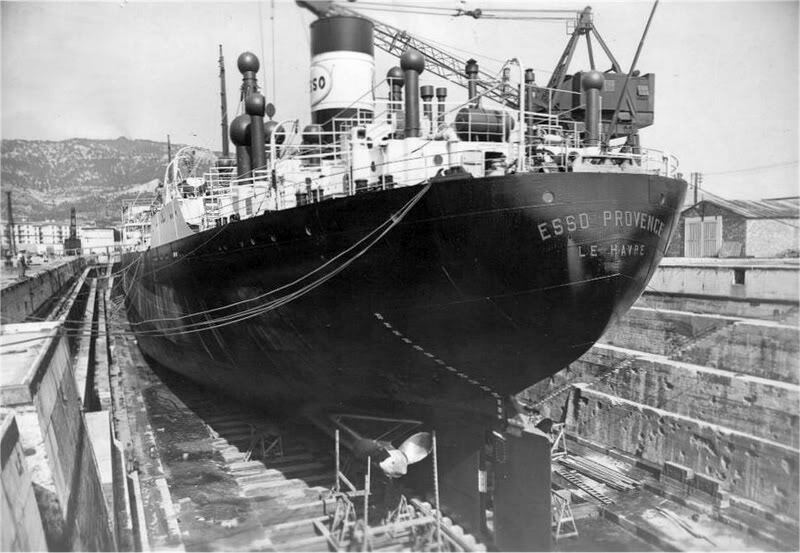 See also : Marguerite Finaly (2) - (1933-1942) & See also: On board photos "Esso Provence (1)"
"Esso Provence (1)", in dry-dock. The Miramar Ship Index for "MARGUERITE FINALY"
Scrapped at Etajima, completed 05.07.1963. MARGUERITE FINALY (2) (1933 -1949) - ESSO PROVENCE (l) (1949 -1955) F.N.N.V. 12309 g. 6012 n. 18250 d.; 165.20 oa-159.18 pp x 21.34 x 11.76 meters (9.29 draught). Two 6 Cyl. 2S.C.SA. oil engines of 1162 NHP (5000cv) driving twin screws by S.A. Fiat SGM, Turin. 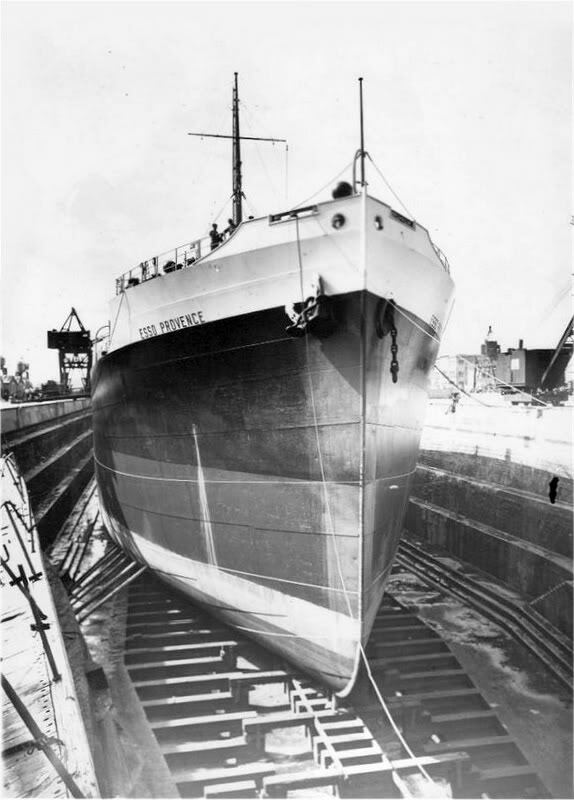 14 k.
12.1933 : completed by Cantieri Dell Adriatico (251), Monfalcone as MARGUERITE FINALY for Ste. Auxiliaire de Transports, Havre. 20.01.1943 handed over to Germany at Marseilles. 19.02.1943 damaged by HMS SARACEN then on 26.05.1943 by HMS SPORTSMAN. 27.06.1944 scuttled by Germans at Marseilles, northgate of Mirabeau docks. 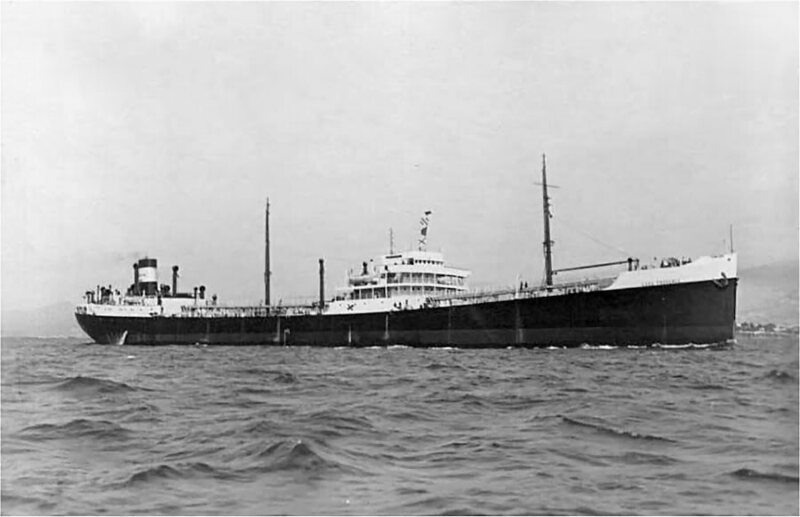 07.1946 : raised and towed to Toulon for reconditionning by tugs LE FORT and CEPET. 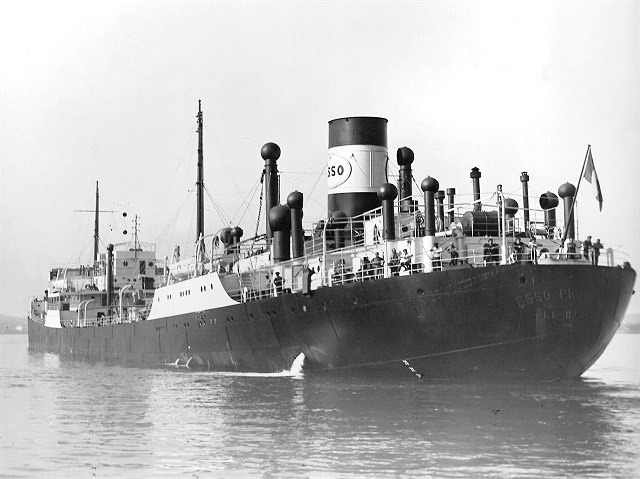 09.1949 : returned to service as ESSO PROVENCE. 1952 owner restyled as Esso-Standard SAF. 1959 sold to Cia. Mar. 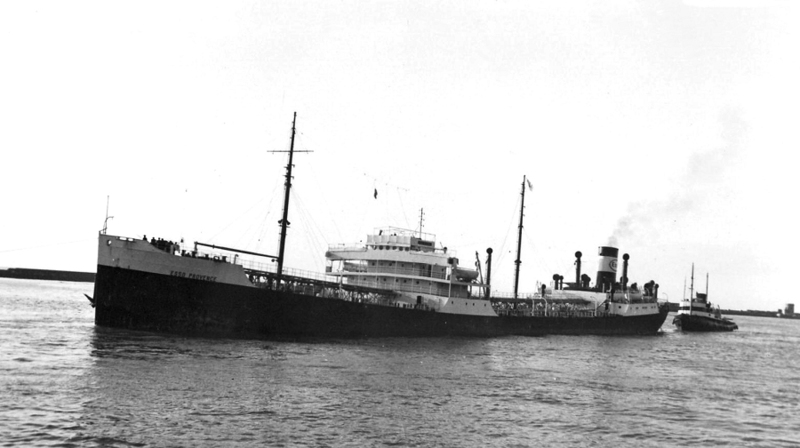 Asiatic-Panamese S.A.. Panama and renamed PACIFIC BUILDER. 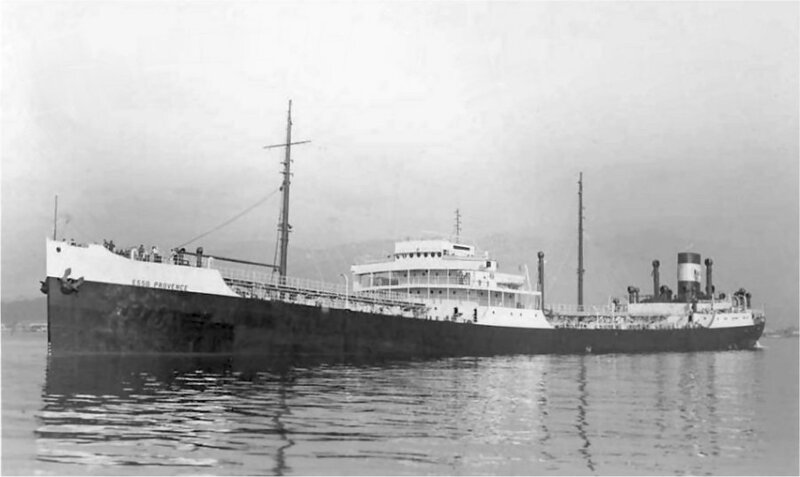 1962 sold to United Overseas Marine Corp., Panama and renamed PACIFIC NAVIGATOR. 05.07.1963 : arrived Japan for breaking up. Broken up at Etajima, Hiroshima Pref. 1963, work completed 5.7.1963.